PHILLY BOXING HISTORY - February 28, 2017 - Is Garcia Hungry Enough For Thurman? 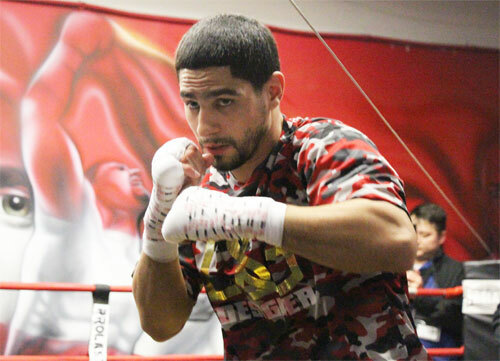 Saturday’s showdown between WBC welterweight champion Danny Garcia, 33-0, 19 KOs, and WBA welterweight champion Keith Thurman, 27-0, 22 KOs, is generating a lot of buzz with boxing fans. The scheduled 12-round bout, at the Barclays Center in Brooklyn, NY, is one of those all too rare matches that pits two undefeated champions in their prime. Usually we’re forced to wait until the match loses its luster or is no longer at the peak of its competitiveness. This is not the case with Garcia-Thurman. The timing couldn’t be better on this one. In fact, it is the timing of the bout that makes this fight so attractive. Thurman is coming off his most entertaining fight to date, an exciting unanimous decision over Shawn Porter. He’s been a welterweight since 2013 (after coming down from 154), and a world champion (or interim champion) over seven fights, or three years and eight months. This probably tipped the betting odds to his favor. Danny Garcia had a steady rise through the 140-pound division. He won big fights, mowed down several favored opponents, and with his tour de force performance against Lucas Matthysse in 2013, proved, without a doubt, that he was the best junior welterweight in the world. In his follow up to Matthysse the following year, Garcia came close to losing his crown to Mauricio Herrera. Garcia escaped with a controversial decision on that night, but ever since the near slip, great care was taken in choosing Garcia’s matches. He blasted an over-matched Rod Salka in two rounds, took an uncomfortably close majority decision from Lamont Peterson next, and then stopped Paulie Malignaggi in nine rounds. Garcia remained undefeated, but took a hit with the fans who thought the Philadelphian was suddenly a cherry-picker. Fourteen months ago, Garcia captured the vacant WBC crown by unanimous decision over Robert Guerrero. Danny won the fight by a comfortable margin, although it wasn’t his easiest night’s work. Garcia followed that fight with a tune up against Samuel Vargas, and won by seventh round TKO to set up the meeting with Thurman. Thurman will be Garcia’s toughest opponent since Matthysse, and Danny will have questions to answer in the fight. Over the past few years, Garcia has padded his bank account and generally faced a lower grade of competition than he did leading up to the Matthysse bout. Garcia has enjoyed his status and success as a world champion. Sometimes the spotlight softens a fighter. Against Thurman, Garcia will have to prove that he still has the hunger that helped him achieve his many accomplishments. 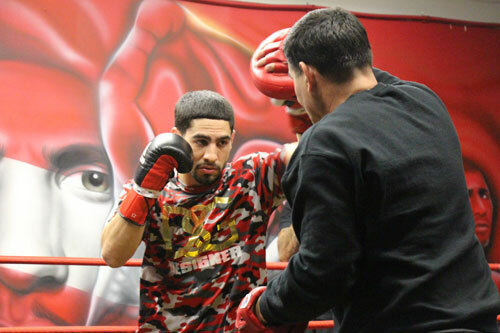 Therefore, in addition to Saturday’s showdown being a high-level contest between two excellent young boxers, the fight will also test if the wealthy, successful Garcia still has the desire and ability to fight at the level he did on his way up. At nearly 29, Garcia, for the first time, faces a real crossroads fight on Saturday night. Thurman looks good, but Garcia’s experience is stronger and his skills are deeper than his opponent’s. Danny has the power and style to beat Thurman, but he’ll have to be in tip-top mental, emotional, and physical condition to have success. Successful champions must retain their edge and fight hard to stay on top. 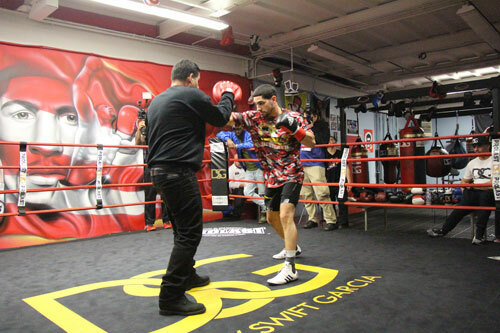 Garcia has been locked away at his DSG Boxing Gym preparing. Usually the place is loaded with young fighters, but not this time. A sign on the door says that the gym is closed and that no one is allowed in. Team Garcia is working hard and keeping their heads down. If Garcia can top Thurman, the win will help to launch the next chapter of his career, set the stage for a number of high-profile welterweight bouts, and also do much to restore his status with the many fans that have cooled on him. Beating Thurman would also make Garcia a unified champion once again. Garcia feels that he has the edge over Thurman in many areas. Garcia’s father and trainer, Angel Garcia, as usual, has many opinions about the fight and his son’s chances of coming out with another win. Angel Garcia has made a career of talking trash about his son’s opponents, and this match is no different. It seems he feels that the fact that the betting odds favor Thurman are a sign of disrespect toward his son. They might not be changing their routine for Thurman, but you can still sense that Angel knows the fight is a big one. In the end, Angel feels that Danny is the better fighter. Garcia-Thurman will be nationally televised, live on CBS.